FLORA - MURALS - KIDS ROOMS - FAIRIES ROOMS - FAIRY - KID`S ROOM MURALS. Fairy - kid`s room murals. Location: Ashdod. Muralist: Flora. 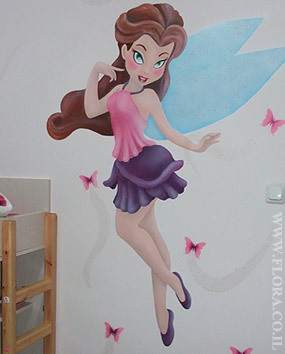 Fairy - kid`s room murals. Location: Ashdod. Muralist: Flora. Children`s wall murals.